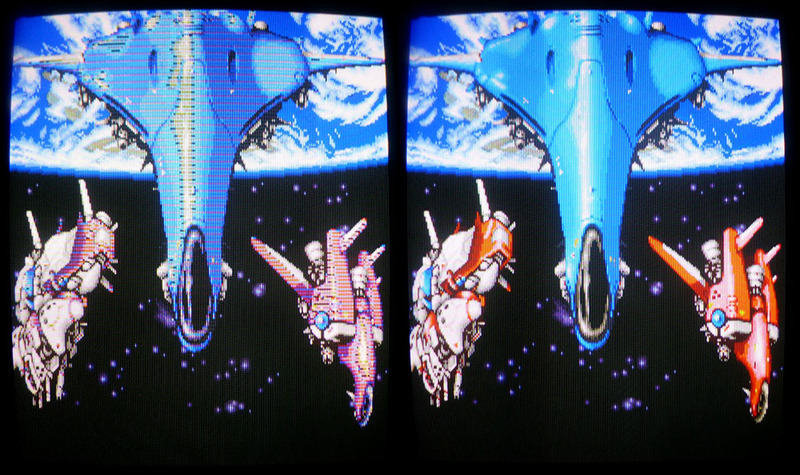 Recently got this Final Star Force PCB with graphical glitches on the sprites. 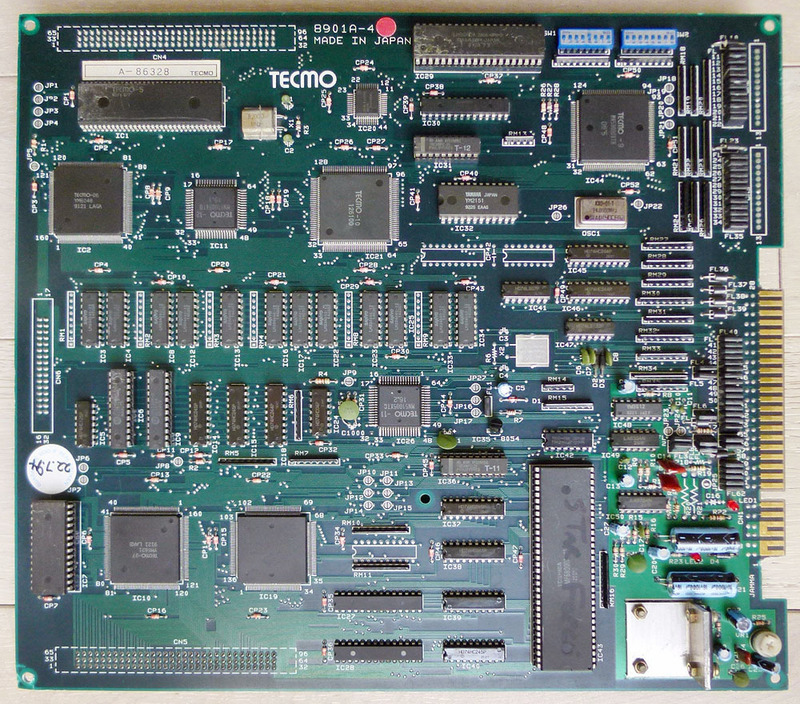 This game uses a motherboard (pictured above) and has a romboard on the other side fitted with no other chips than the game’s ROMs. All the ROMs were tested ok on my programmer and cleaning the connectors and looking at the signals, everything seemed fine with that romboard. The motherboard has a rather simple layout with a lot of RAMs, some ASICs and a few TTLs. After a few hours looking for suspicious signals, I finally found the faulty ones. There is a row of 12 Sanyo LM33464G RAMs (64k-word x 4-bit). Two of them were bad (the ones at IC22 and IC33). 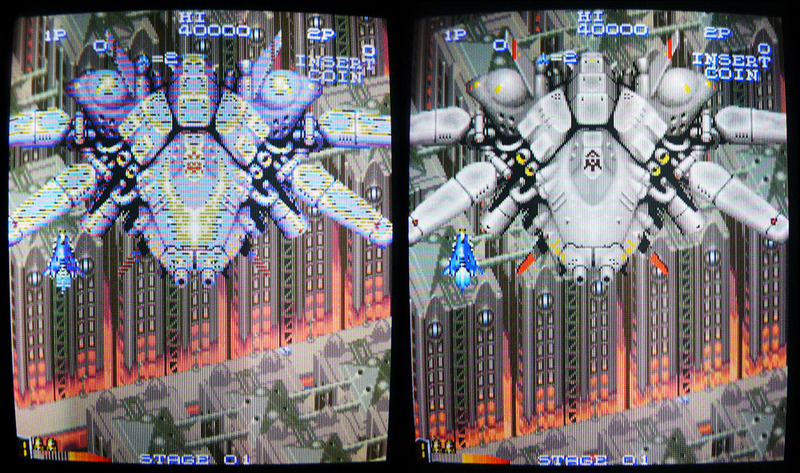 Piggybacking them with new ones partially brought back clean sprites, even if there were a few glitches remaining. These glitches totally disappeared after replacing the RAMs.